Below you fill find all funeral homes and cemeteries in or near Palmyra. Suburbs of Palmyra: Ely, South River, Withers Mill, Woodland. Palmyra is also known as: Marion County / Palmyra city. Their current mayor is Mayor Loren Graham. Zip codes in the city: 63461. Marion County funeral flowers can be purchased from one of the local funeral shops we partner with. Some of the notable people born here have been: Rachel Bringer (politician). Palmyra is a city in and the county seat of Marion County, Missouri, United States. The population was 3,600 at the 2010 census. It is part of the Hannibal Micropolitan Statistical Area. It was disclosed by Peoria Journal Star on July 7th, 2016 that F June Anderson (Norman) died in Hopedale, Illinois. Ms. Anderson was 95 years old and was born in Palmyra, MO. Send flowers to share your condolences and honor F June's life. It was noted by Waterloo/Cedar Falls Courier on October 4th, 2015 that Shirley D Demry (Deeds) died in Cedar Falls, Iowa. Ms. Demry was 78 years old and was born in Palmyra, MO. Send flowers to express your sympathy and honor Shirley D's life. It was revealed by Enumclaw Courier-Herald on March 12th, 2015 that Marjorie Tamm passed away in Enumclaw, Washington. Tamm was 91 years old and was born in Palmyra, MO. Send flowers to express your sympathy and honor Marjorie's life. It was disclosed on September 25th, 2014 that Arlen Ray Schade died in Knoxville, Tennessee. Schade was 72 years old and was born in Palmyra, MO. Send flowers to share your condolences and honor Arlen Ray's life. It was revealed on February 20th, 2013 that Doris Arlene Kugler (McFarland) died in Broomfield, Colorado. Ms. Kugler was 92 years old and was born in Palmyra, MO. Send flowers to share your condolences and honor Doris Arlene's life. It was noted by Union Democrat on February 7th, 2013 that Dorothy Marie Wright (Magers) died in Oakdale, California. Ms. Wright was 83 years old and was born in Palmyra, MO. Send flowers to express your sorrow and honor Dorothy Marie's life. It was written by Modesto Bee on February 6th, 2013 that Dorothy Marie Wright (Magers) perished in Modesto, California. Ms. Wright was 83 years old and was born in Palmyra, MO. Send flowers to share your condolences and honor Dorothy Marie's life. It was revealed by Sarasota Herald-Tribune on November 1st, 2012 that John Anderson Yeager died in Sarasota, Florida. Yeager was 93 years old and was born in Palmyra, MO. Send flowers to share your condolences and honor John Anderson's life. It was disclosed by Sarasota Herald-Tribune on November 1st, 2012 that John Anderson Yeager passed away in Sarasota, Florida. Yeager was 93 years old and was born in Palmyra, MO. Send flowers to share your condolences and honor John Anderson's life. It was reported by Santa Maria Times on April 17th, 2012 that Kathlene Bennett (Shanks) died in Santa Maria, California. Ms. Bennett was 90 years old and was born in Palmyra, MO. Send flowers to share your condolences and honor Kathlene's life. 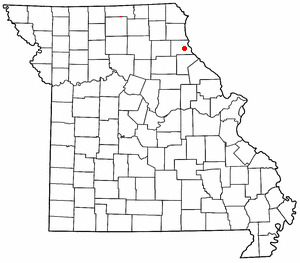 It is part of the Hannibal, Missouri Hannibal micropolitan area Statistical Area. The population was 3,467 at the United States Census, 2000 census. Palmyra is a city in and the county seat of Marion County, Missouri County, Missouri, United States. . . Listing all funeral homes in Palmyra, Missouri so you can easily send flowers to any location (same day delivery) or find any funeral service. Funerals in Palmyra, MO on Yahoo! Local Get Ratings & Reviews on Funerals with Photos, Maps, Driving Directions and more. Lewis Brothers Funeral Chapel, Palmyra, MO : Reviews and maps - Yahoo! Local, 573.769.2233. Get Ratings, Reviews, Photos and more on Yahoo! Local. Listing all funeral homes in Palmyra, Pennsylvania so you can easily send flowers to any location (same day delivery) or find any funeral service. We work with local florists and flower shops to offer same day delivery. You will find budget sympathy flowers in Palmyra here. Our funeral flowers are cheap in price but not in value.